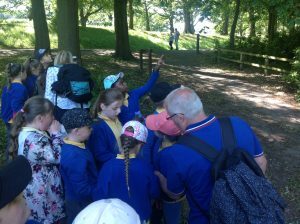 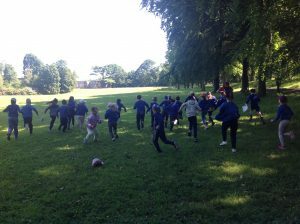 The sun shone to make Year 3’s day at Gibside a wonderful day. 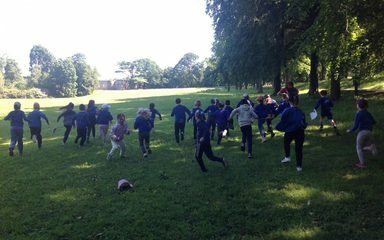 They spent the morning learning about the water cycle, the Derwent river and the importance of water to the Gibside estate. 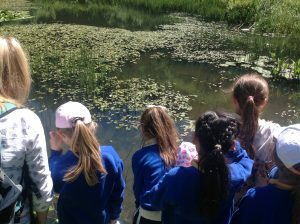 They looked at leaves to identify a range of trees, spotted birds and flowers. 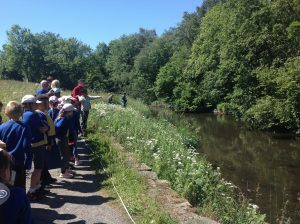 They measured the speed of the river Derwent at two different points and unfortunately spotted some plastic pollution within the river. 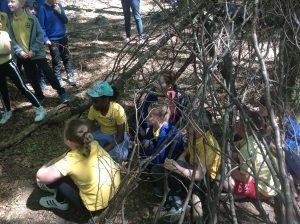 After a huge walk they had lunch and talked about how amazingly lucky they had been to see a Red Kite soar above our heads and baby deer, a fawn enjoying the sunshine whilst hiding in the long grass. 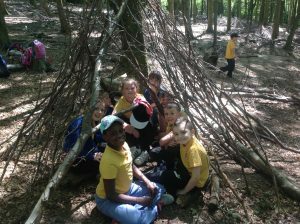 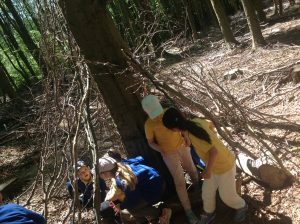 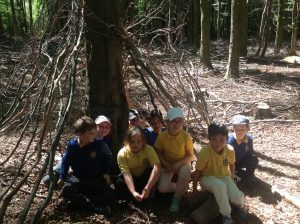 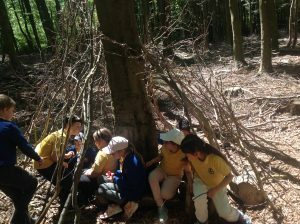 The afternoon session was a task to build a den to fit the whole group inside and the children did amazingly well!